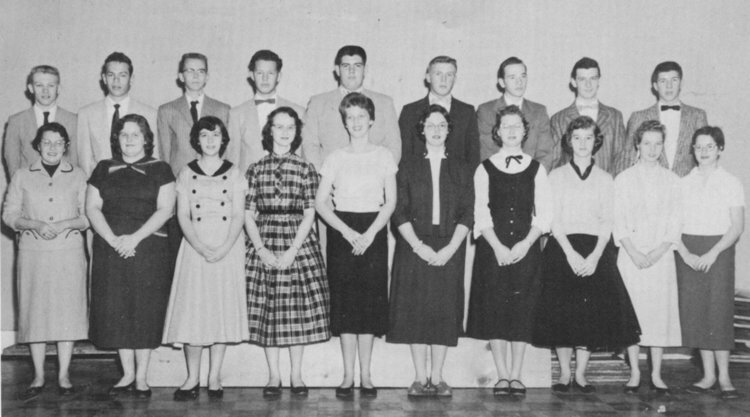 Photo of Dorene that appeared in the 1958 Tuscarora Valley High School Yearbook. Dorene E. Adams, 74, of Spruce Hill, Juniata County, passed away at 6:06 p.m., Monday, Aug. 24, 2015, at Geisinger Medical Center, Danville. 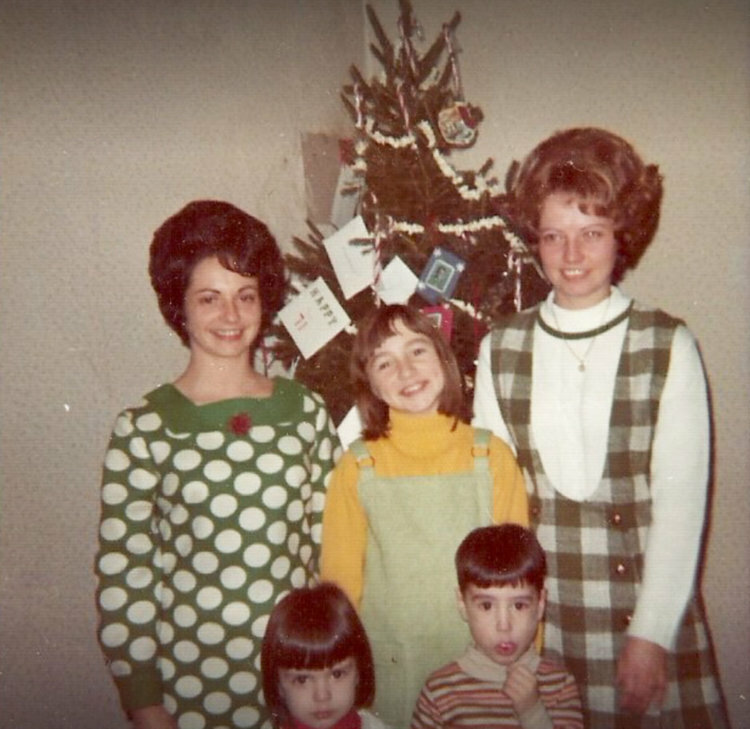 Born Nov. 7, 1940, in Spruce Hill, she was the daughter of the late Daniel G. and Myrtle E. (Smith) Brackbill. Surviving are: her husband, Myles C. Adams Jr.; children, Randal S. Clark, of Mifflintown, Daniel P. Adams, of Spruce Hill, and Kayla M. Adams, of Mifflintown; and one grandchild. Other survivors include her siblings, Vera Harpster, of Burnham, Earl S. Brackbill, of Mechanicsburg, Elmer J. Brackbill, of Mifflintown, Edna M. Lauver, of Camp Hill, and Mildred G. Hendricks, of Mifflintown. She was preceded in death by siblings Velma Ellingsworth, Albert Brackbill, Roberta Kepner, Raymond Brackbill, Anna Fry, Rachel Weaver, and George Brackbill. Dorene was a graduate of the former Tuscarora Valley High School, Port Royal. Mrs. Adams was a cosmotologist, and also worked as a waitress for the former Benner's Restaurant, Thompsontown. As well as being an avid golfer and bowler, she also belonged to TOPS Fitness Program. She was a member of the Matamoras United Methodist Church. Her funeral will be held at 11 a.m. on Friday, Aug. 28, 2015, at the Matamoras United Methodist Church with the Rev. Terry J. Brosius officiating. Interment will follow at Old Church Hill Cemetery, Port Royal. A viewing will be held at the church from 10 a.m. until the time of service. Memorials may be made in Dorene's memory to American Heart Association, 1019 Mumma Rd., Wormleysburg, PA 17043. Arrangements are under the care of Rex Funeral Home, Port Royal. 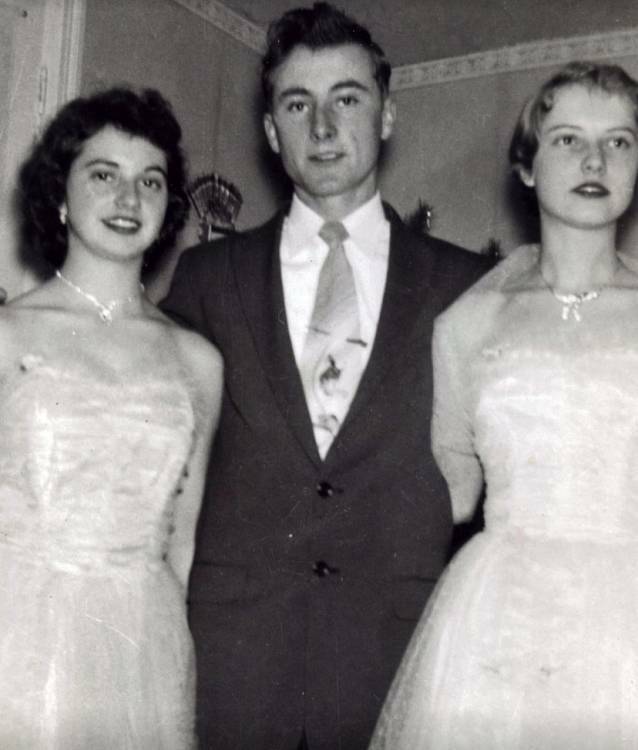 BRACKBILL SIBLINGS: (l-r) Mildred, George and Dorene Brackbill. BRACKBILL SISTERS: Mildred and Dorene Brackbill and children. 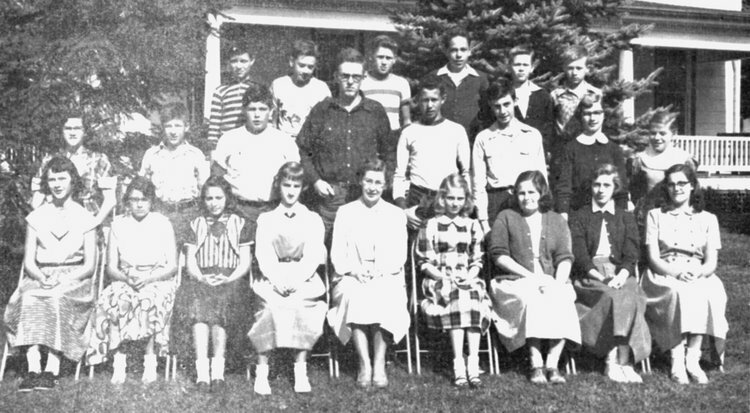 CLASS OF 1958 IN EIGHTH GRADE (54): Front Row (l-r): Ann Stake, Dorothy Wagner, Carleen Benner, Stella Eaton, Jane Stimmel (teacher), Dorene Brackbill, Andrea Kepner, Darlene Pennebaker, Verna Book; Middle Row: Jane Ann Gilson, Jonathan Wert, James Barton, Harry Lauver, Ernest Foltz, Richard Henry, Judy Book, Joyce Renninger; Back Row: Thomas Hockenberry, Robert Bardell, Raymond Peterson, Ronald Gerhart, Thomas Searer, Wayne Taylor. 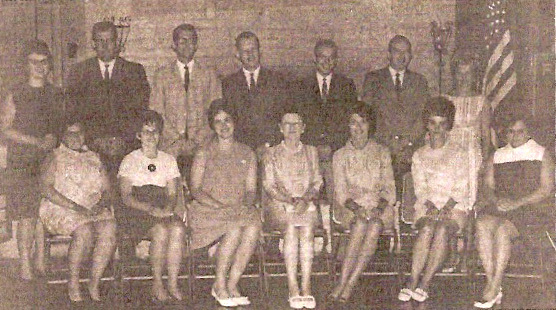 CLASS of 1958 10 YEAR REUNION at Bratton's Restaurant in Mifflin: SEATED (l-r) Dorothy Wagner Swab, Jane Ann Gilson Foltz, Verna Book Gilliland, Dorothy Kephart (teacher), Darlene Pennebaker Gerhart, Stella Eaton, Andrea Kepner; STANDING: Ann Stake Nace, James Barton, Thomas Searer, Ernest Foltz, Ronald Gerhart, Robert Bardell, Dorene Brackbill Clark.